Houston, we do not have a problem … cause he’s takin’ it to the house. The little brother can ball, too. Coupeville High School junior Dawson Houston has stepped in as the starting QB for the Wolves this season, leading them to a 3-1 record in non-conference play. But he’s not the only member of his family tearing up the gridiron. 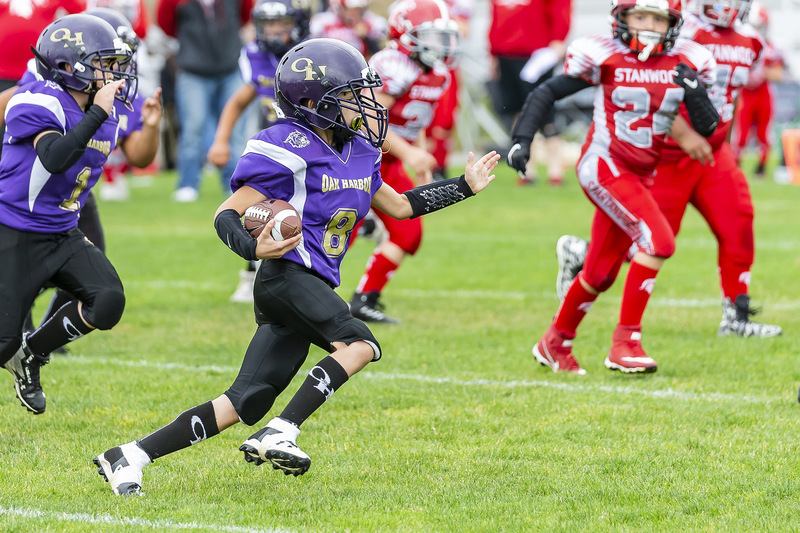 Younger brother Davin, a fourth grader, is making the trek up to Oak Harbor to play youth football, since Cow Town doesn’t offer a program of its own. 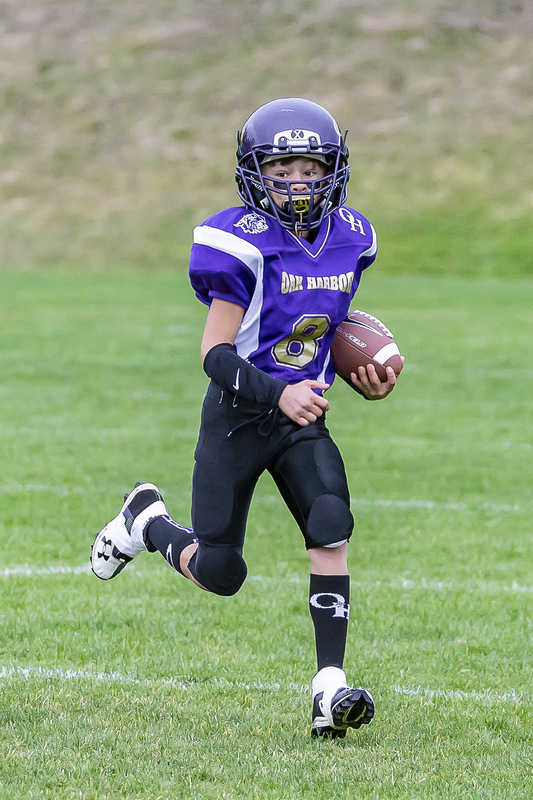 While he was making plays for the 89ers Saturday, as they clashed with Stanwood, the paparazzi caught the younger Houston in all his photogenic glory.